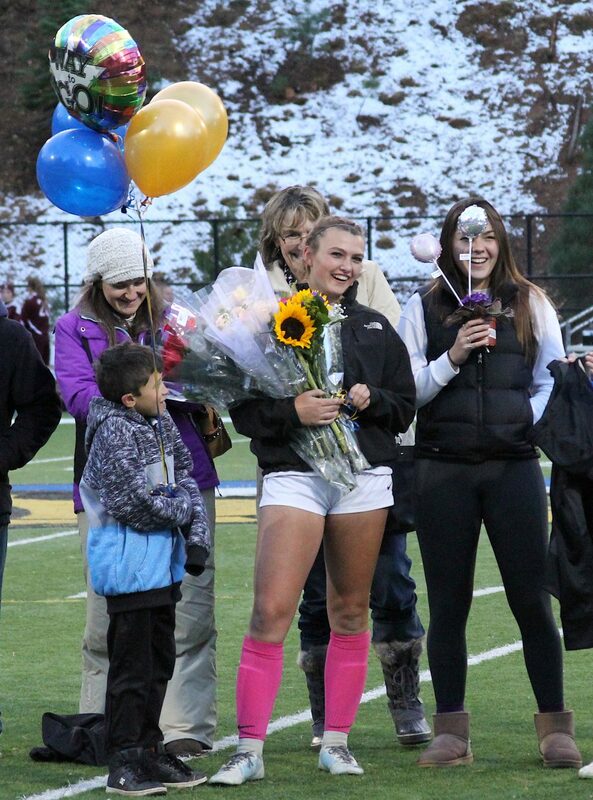 South Tahoe senior Zoey Fiston stands with her family Friday night at halftime. South Tahoe senior Bailey Segers tries to score off a corner kick Friday night against Elko. 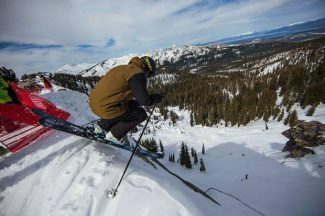 South Tahoe's Amber Osorio looks to make a pass. 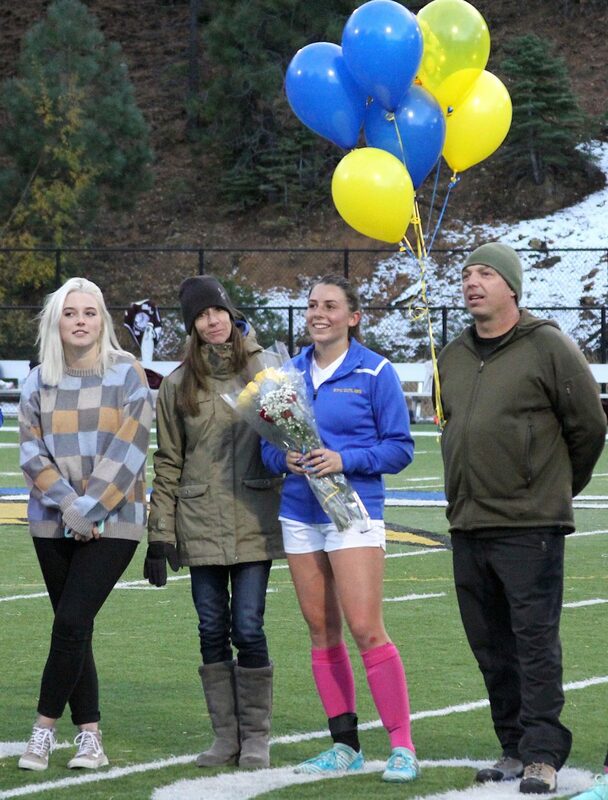 South Tahoe senior Samantha Frates stands with her family Friday at halftime. South Tahoe senior Bailey Segers has some fun Friday night during halftime. 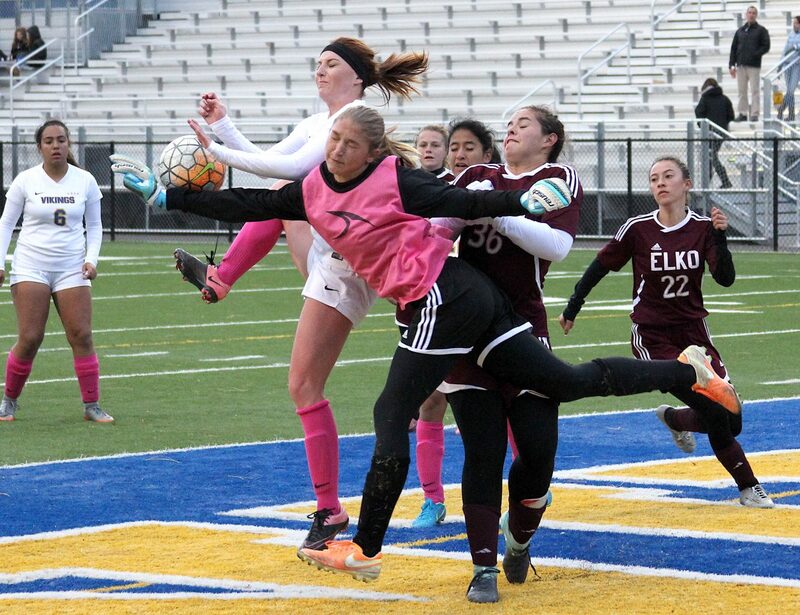 South Tahoe's Keytie Jacqueline Bravo-Cazares (6) is denied her second goal of the game Friday night against Elko. 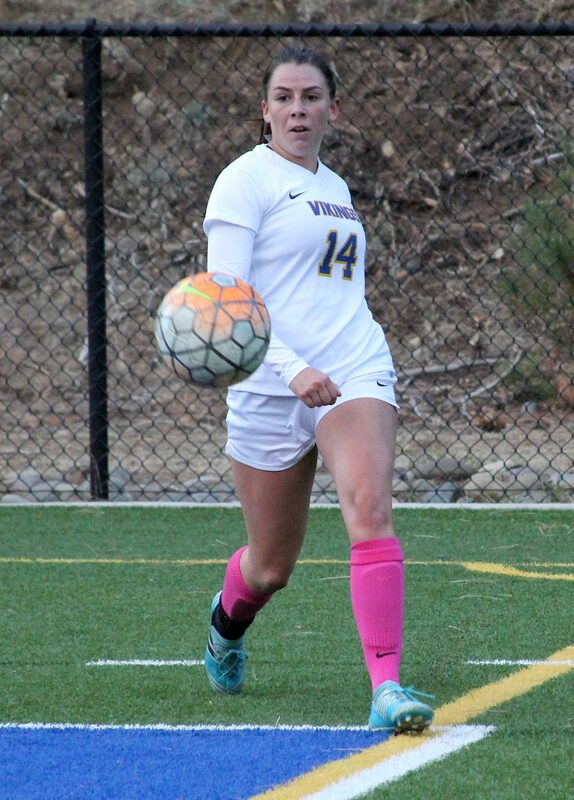 South Tahoe freshman Kelsey Hogan (15) drives toward the Elko goal Friday night. 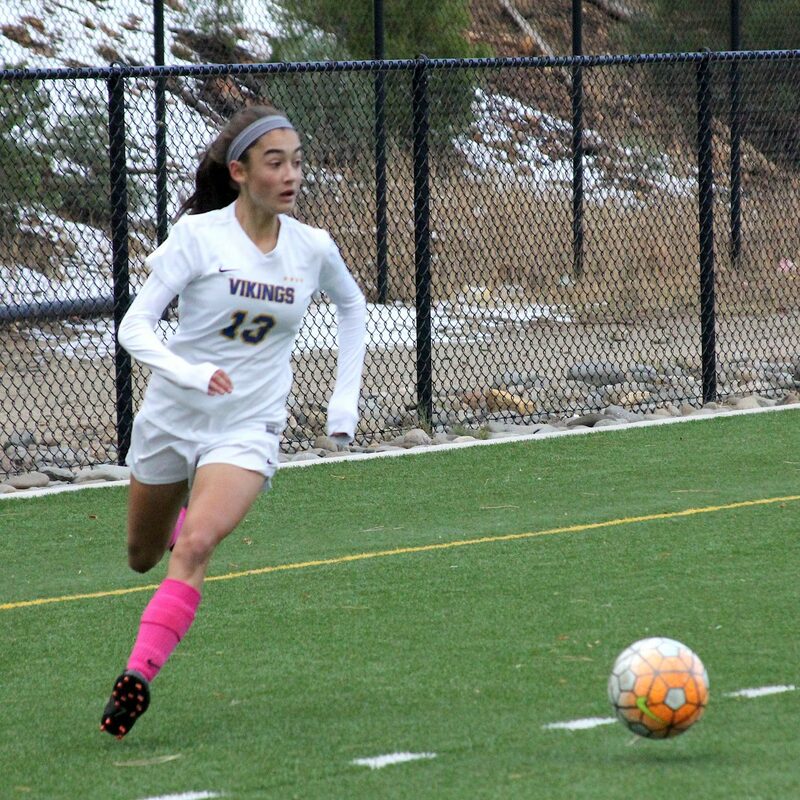 South Tahoe freshman Giovana De Loiaheads toward the Elko goal. South Tahoe senior Zoey Fiston hits a crossing pass Friday night against Elko. 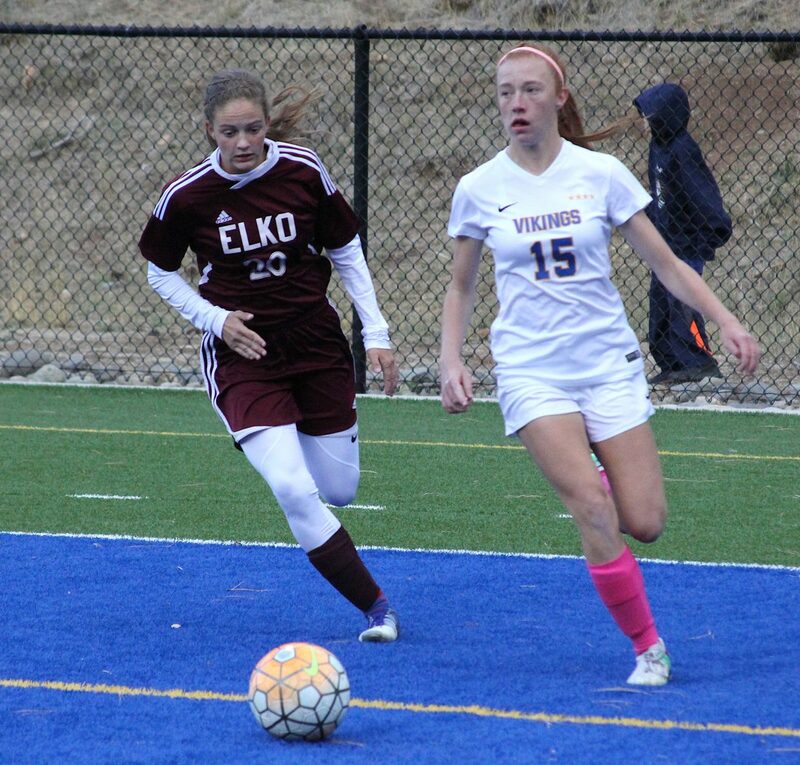 Vikings senior Samantha Frates heads the ball upfield Friday against Elko. 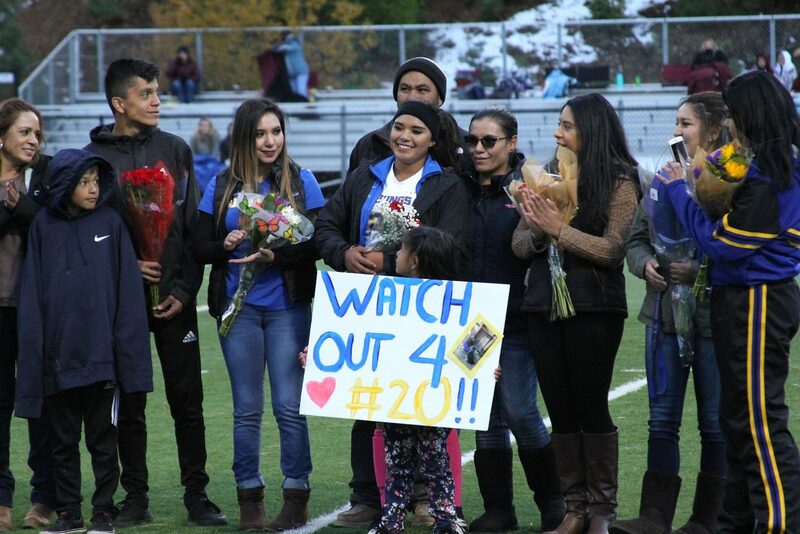 South Tahoe senior Lulu Gutierrez stands with her family Friday night at halftime. 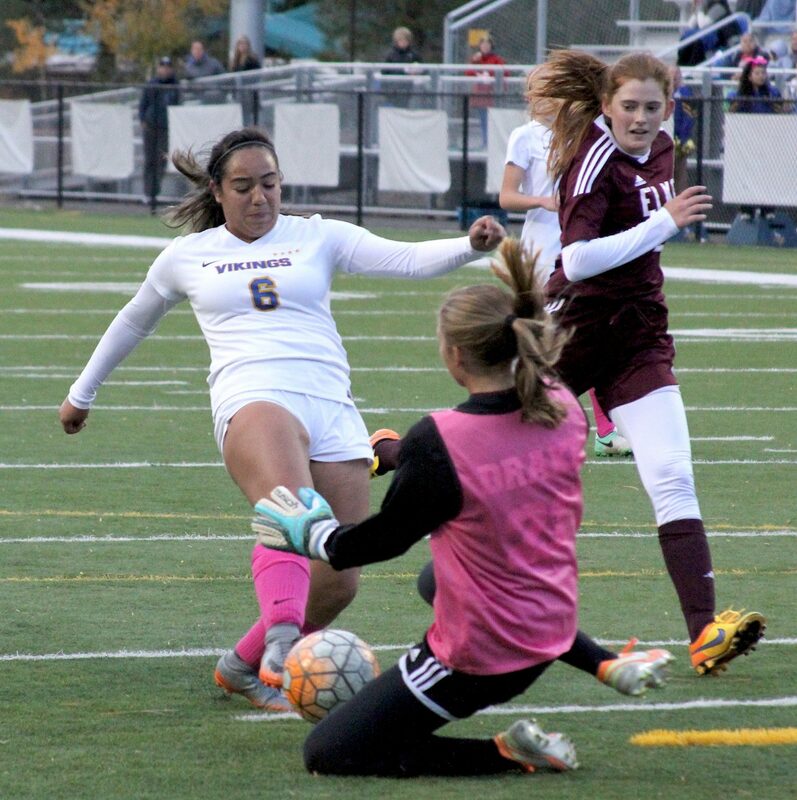 The South Tahoe girls’ soccer program celebrated its seniors Friday night, Oct. 20, under the lights at halftime of its 3A Northern League clash against Elko. Aside from crushing the Indians 3-0, the four seniors will likely remember most the halftime ceremony when they stood on the field with their respective families. 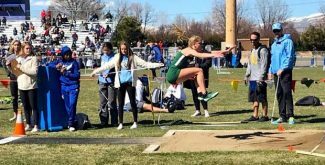 With a cold chill in the air and the morning snow still lining the banks surrounding Vikings Stadium, Bailey Segers, Lulu Gutierrez, Samantha Frates and Zoey Fiston all exchanged emotional messages via the stadium’s sound system in recorded speeches. Each player thanked the many people that helped them along the way and each said something a little more special about their head coach Mark Salmon. Following the players’ messages, Salmon had a message of his own. During, there were jokes and laughter from the solid crowd in the bleachers. After, there were tears. Leading up to the halftime event, the Vikings had the full run of play. Keytie Jacqueline Bravo-Cazares started off the scoring in the 19th minute. 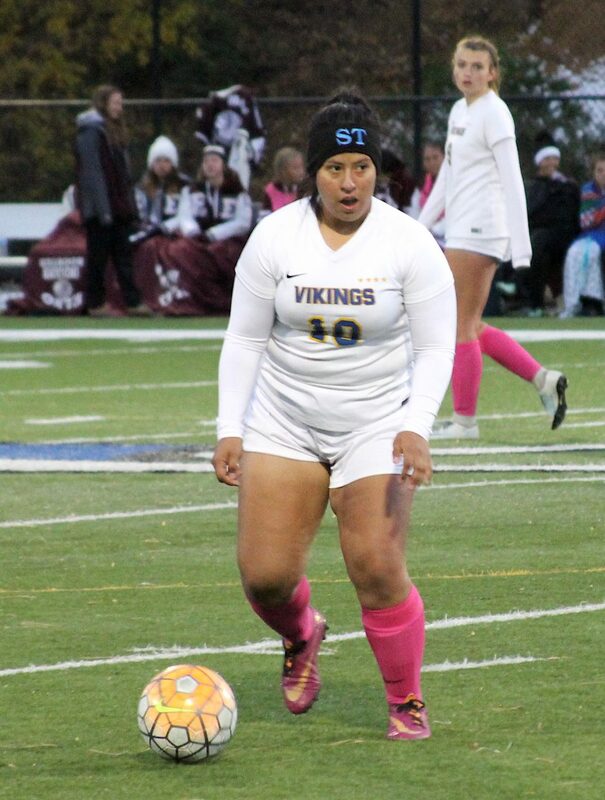 She ran onto a loose ball in the center of the field and, from straight on, lined a shot into the right side of the net, just inside the post, from about 25 yards. The diving goalie had no chance. 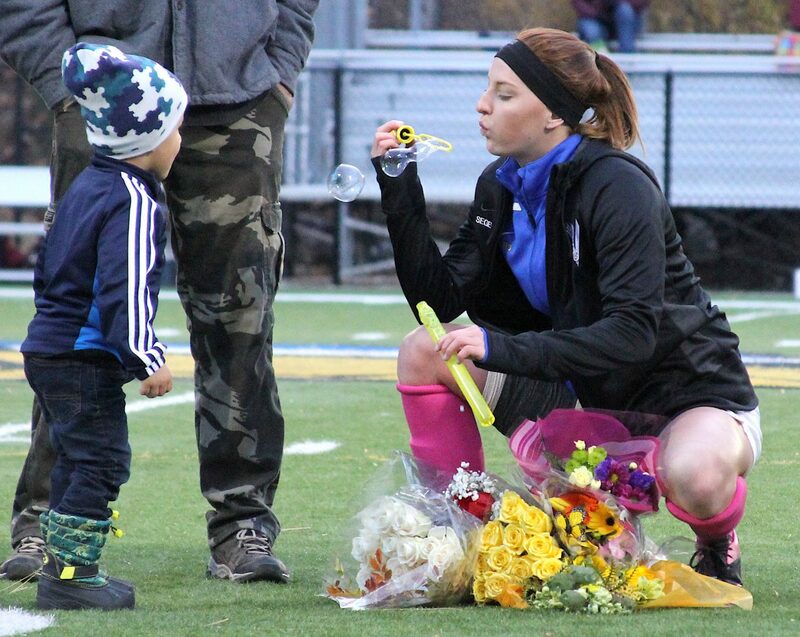 Star freshman Kelsey Hogan scored an impressive goal 10 minutes later. Playing on the left wing, she received a perfectly-placed long pass from Segers. 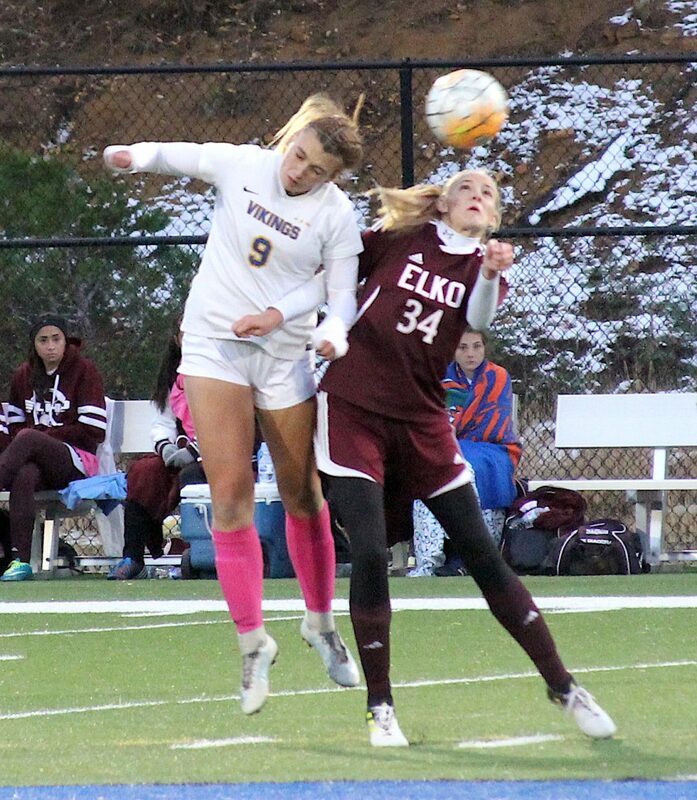 Being wide open, she corralled the pass, took a peak at the goalie and chipped a left-footed shot from about 20 yards, right over the goalie’s head and into the right side of the net. It was her team-leading 10th goal of the year. Again, the goalie had zero chance. The Vikings led 2-0 at halftime. They were connecting passes, maintaining possession and playing keep away from the Indians. Segers finished the scoring just a few minutes into the second half. This time is was Hogan putting a perfect cross pass right onto the senior’s foot who buried it from point blank range. It was her ninth goal of the season. The rest of the half, Salmon substituted freely and got everybody involved and was also able to get rest for players for their noon clash Saturday, Oct. 21, against Spring Creek. 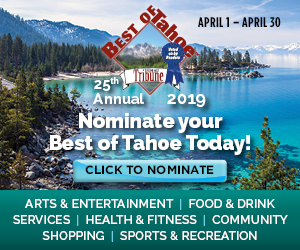 The Vikings (9-3-1) sit in third place in league behind Truckee (11-0-1 3A Northern) and North Tahoe (12-1-1 3A Northern). 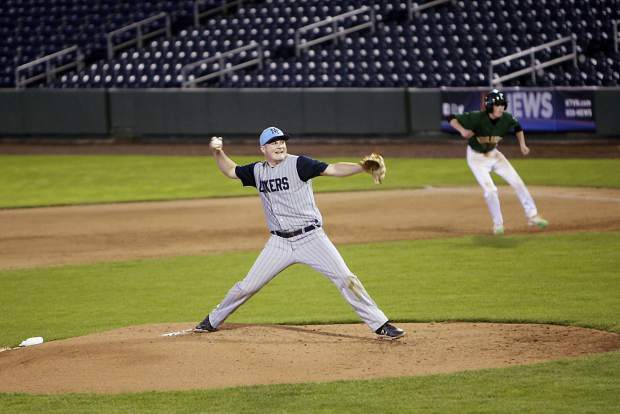 They are ahead of Incline (6-4-3), Spring Creek (7-6-1) and Elko (5-7-1). After the Vikings play Spring Creek, they have two games left in the regular season. Then come the playoffs.